The Collective Edition Cold Fusion GT was one of 3 Collective Edition Cold Fusions and the only GT edition. 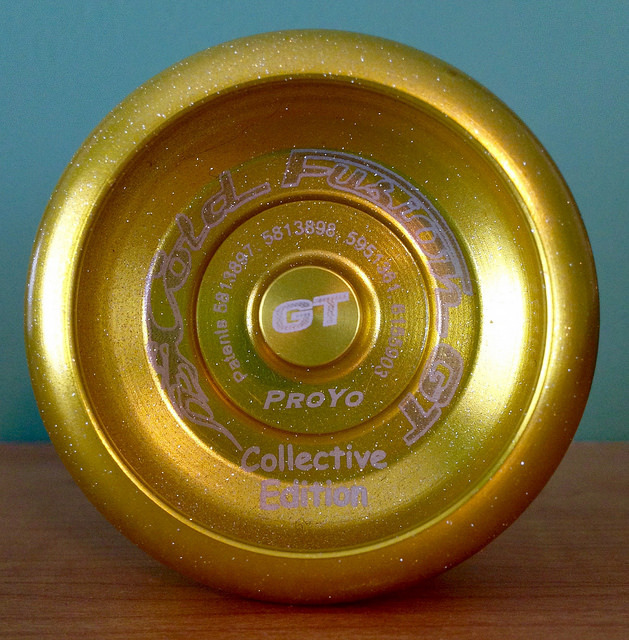 The Yoyo Collective was a group that had special opportunities when purchasing limited edition Proyos in the late 90s. From the Collective's page: "Welcome! The Yo-Yo Collective is an online community of Playmaxx enthusiasts, dedicated to bringing the world of ProYos to you." There were very few of these made and the last one sold in 2016 for $394.